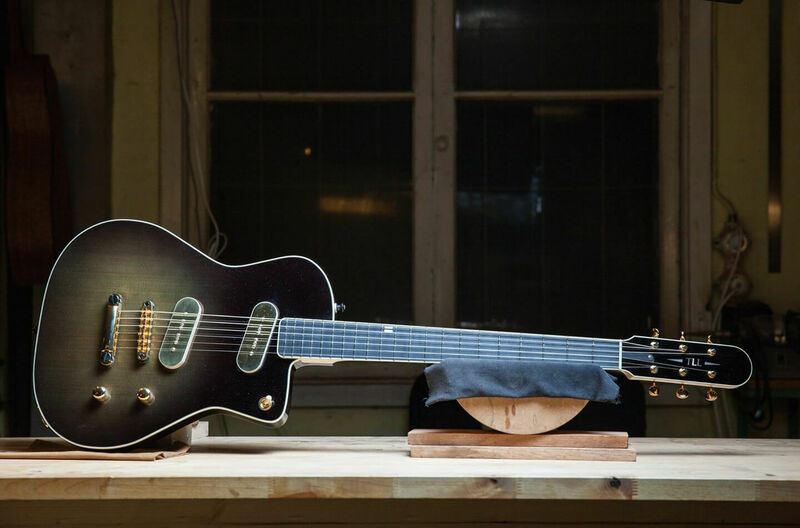 Electric and arch top guitars handcrafted in Stockholm, Sweden. 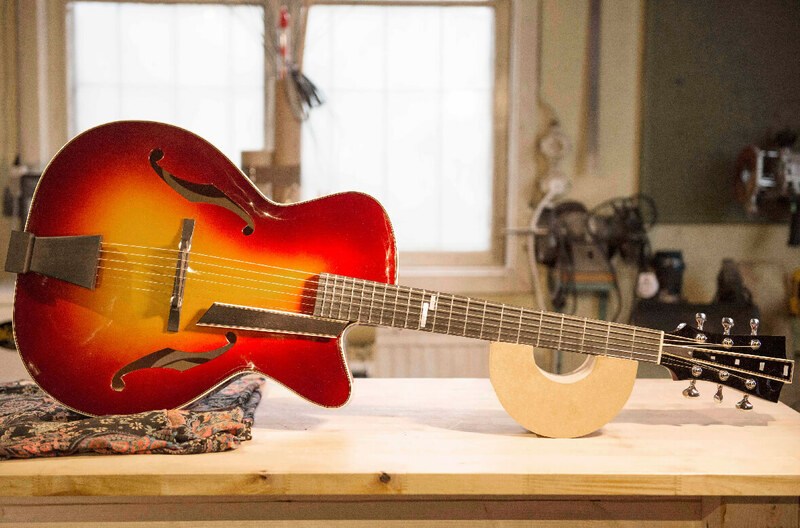 Each instrument is custom built by hand to give you a unique experience in sound and feel. In my youth, I often followed my father to work, restoring the interiors of old churches and houses in the south of Sweden. Seeing how a slab of wood could turn into something beautiful really appealed to me, and woodworking quickly became one of my great passions. Music has always been an important part of my life. At the age of fourteen I started playing the guitar – I played in different band constellations and wrote my own songs. 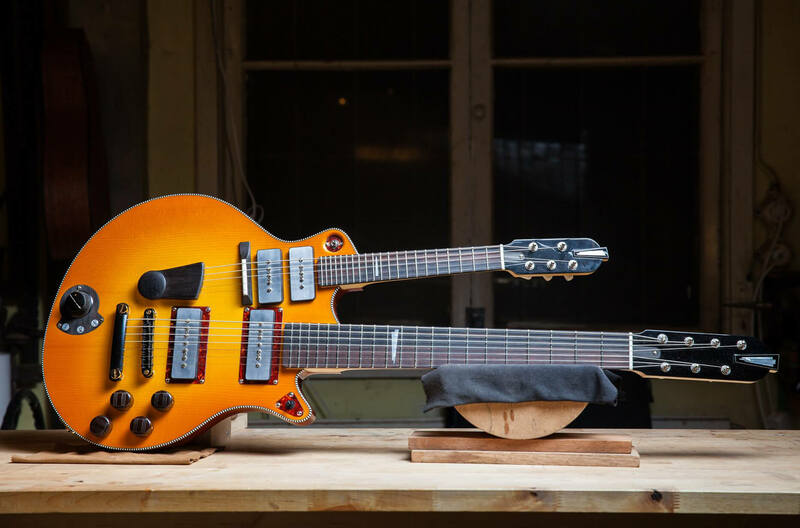 When I realized that I could combine woodworking with music by actually building my own guitars, I was hooked. 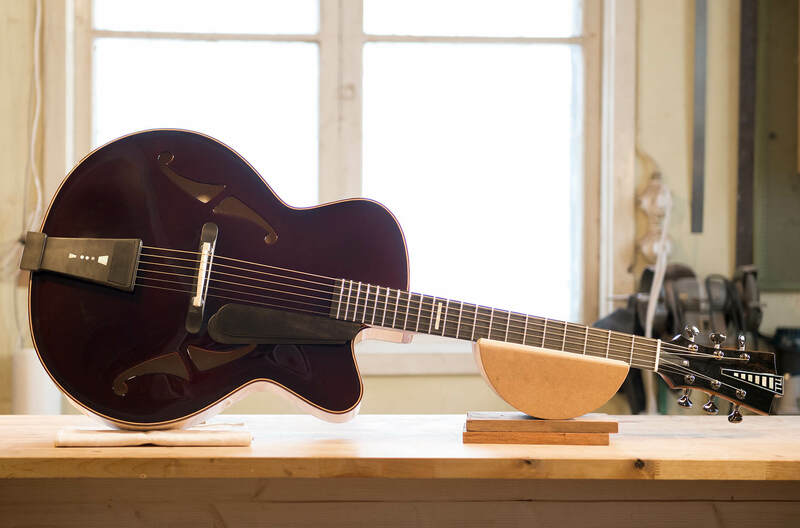 I spent three years at Musikinstrumentakademien (Stockholm School of Lutherie) with teachers such as Lars Rasmussen of Rasmussen Guitars and Henrik Jansson of Jansson Guitars. At school I got to build everything from classical Spanish guitars to modern electrical instruments. Later I had the great fortune to attend an apprenticeship with Otto D’Ambrosio in Providence, Rhode Island. 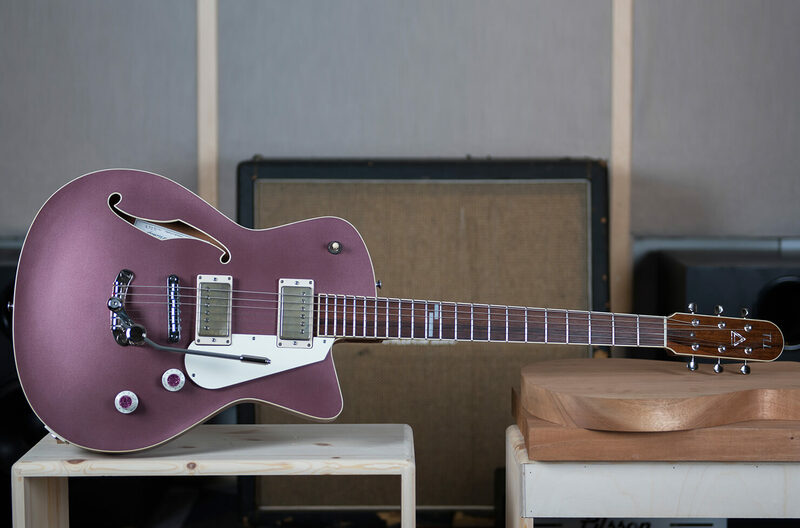 After all these great influences I settled in my own style of focusing on electric and arch top guitars. My design inspiration comes from the great Art Deco designs of the 1930s and the clean lines of Scandinavian furniture and architecture. 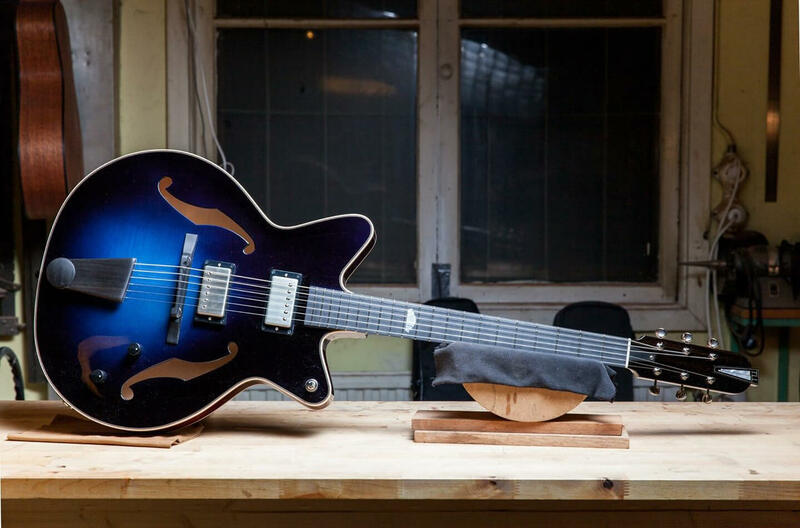 Please contact us if you are interested in buying any of our guitars or if you have any further questions about our products. Just fill out the contact form below or send us an email.